When we launched our bespoke design service Wallpaper* Composed three years ago, Cadogan Estate was exactly the client we had in mind: passionate, real-estate rich and willing to experiment. Cadogan’s newly renovated building at 155 Sloane Street in London provided the ideal collaboration: a show home in the ten-apartment mansion – as well as a permanent design for the intimate marble-floored lobby. 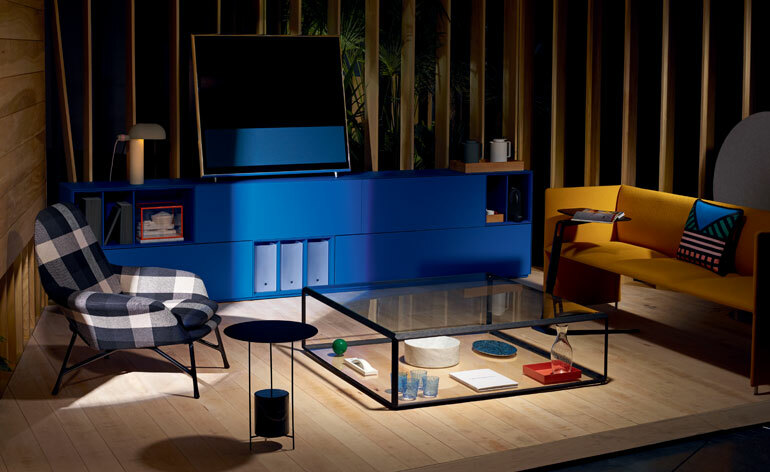 With an opportunity to showcase their vision in living colour, our team of experienced editors sought out some of the most gifted designers in Europe, who donated an astonishing collection of furnishings. In the lounge, Fredrikson Stallard’s ’Sereno’ coffee table for Driade offsets the marble and copper ’Salute’ side table by Sebastian Herkner for La Chance and the golden-velvet ’Ozio’ chair by Gordon Guillaumier for Arketipo. Meanwhile, the hallway is dominated by the sculptural ’Console Pipe Show’ console by Hervé Van der Straeten. And Reza Feiz’s spindly ’Bride’s Veil’ stools elevate the kitchen. On the moody Farrow & Ball-painted walls the team mounted artwork by American conceptual artist John Baldessari, courtesy of Sprüth Magers. The pop-up apartment was on view by appointment in October – see photos from the opening party in our slideshow – but long-term residents can enjoy the permanent design in the reception area, overlooked by Jason Miller’s ’Modo’ chandelier for Roll & Hill. We commissioned designer Mathias Hahn to create the elegant geometric concierge desk. The historic building has Chelsea, Belgravia and Sloane Square on its doorstep; Chloé, Montblanc, Anya Hindmarch and Paule Ka are neighbours. And next year the area will get even more buzzy when Cadogan opens its ambitious new six-storey project - retail on the ground level, plus five floors of office space - designed by Stiff + Trevillion architects and with an internal courtyard inspired by Corso Como in Milan. Along with its adventures in retail, the developer is also in the process of ’greening’ the city’s most prestigious area, meaning more plantings, broader trees, wider boulevards and an influx of public art.